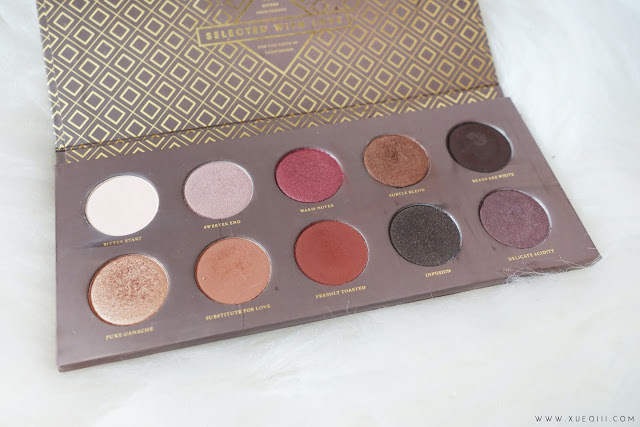 Back with another palette for review - Zoeva Cocoa Blend Palette. 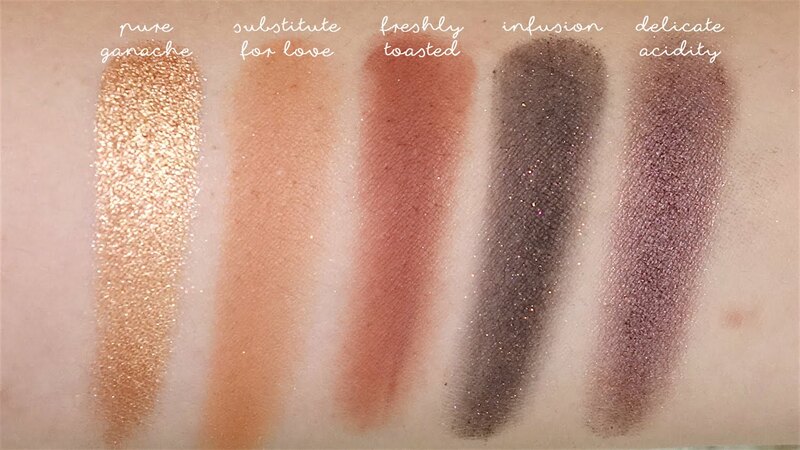 10 eyeshadows inspired by chocolates. It came in a little sleeve like this, very similar to how a box of chocolate would have been packaged. I love how compact the palette is. With a price tag of S$32, I really do recommend this palette as it is value for money and travel friendly. 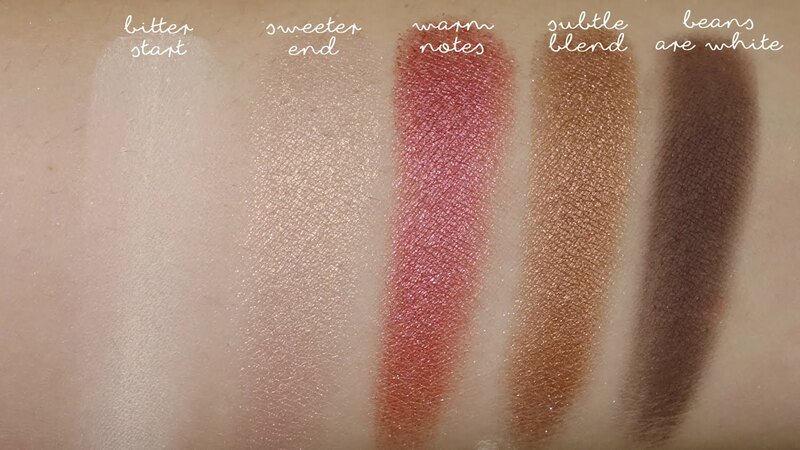 I am also looking at getting their Rose Gold Palette as well. The colours are amazing! Bitter Start - Matte beige shade suitable for a base and highlight on the brow bone. This isn't as pigmented but is just how I like this kind of shadows. Sweeter End - Taupe grey shade with a hint of pink and a satin finish. This is a great all-over-the-lid colour on lazy days. This shade is rather sheer and not as pigmented compared to the rest. Warm Notes - Gorgeous pomegranate shimmery shade. This is one of the shades that I looked forward to playing with the most! Perfect to pair with a warm brown crease shade. Subtle Blend - Warm bronze shade. This is a very wearable day to day look on the lid. I like to mix this with Freshly Toasted on the outer-v of the eye to deepen the look. As well as on the lower lash line. Beans are White - Matte dark brown. This is just a standard dark matte brown that can be used as a liner or to smoke out the look. It is less chalky than I imagined as more affordable palettes usually have poorer quality matte shadows. I'm impressed! Pure Ganache - Beautiful shimmery gold! This is another favourite from the palette. I like using this in the inner half of the lids. Substitute for Love - Warm matte brown shade. Reminds me of a milk chocolate colour. Great to use as transition and crease shade. Freshly Toasted - Warm darker matte brown - looks exactly like cocoa powder and reminds me so much of MUG's Cocoa Bear. Delicate Acidity - Shimmery cool tone purple shade. This is a very pretty purple. I can see myself playing around with this shade and maybe using it with Warm Notes to create a purple-red-pinkish look. Here's a look I did with this palette when I first got it! Very simple golden bronze shadow. I had Bitter Start all over the lid and Pure Ganache on the inner half of the lid. For transition and crease, I used Substitute for Love. The outer half, I mixed Freshly Toasted and Subtle Blend to darken the outer-v. Lastly, I lined my eyes slightly with Beans are White to create a wing liner. I have Colourpop's Solow on my lips. In case you are curious, the highlight I have on my cheeks is MAC Soft and Gentle and Ofra's You Glow Girl. Thank you for the amazing review! You have the best swatches I've ever see on social media. 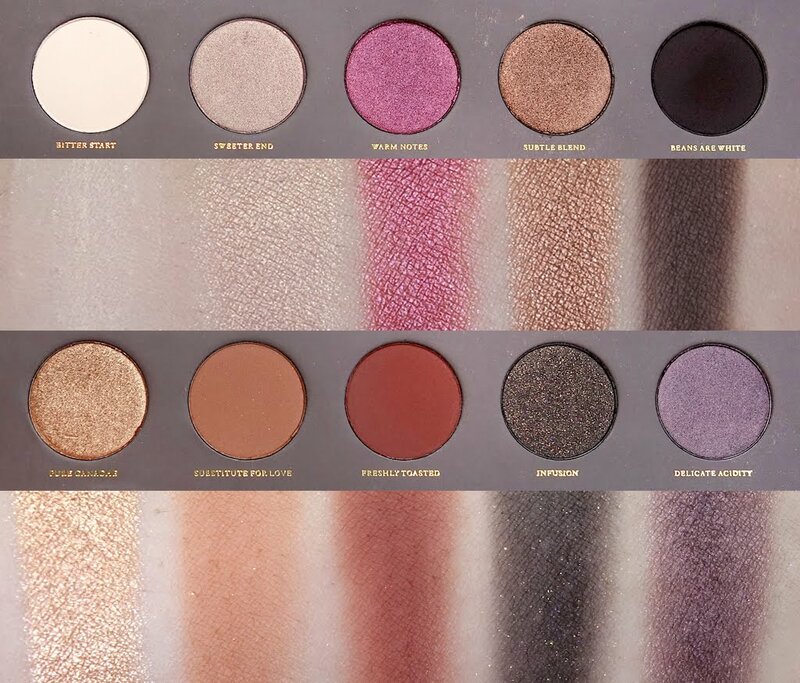 I would like to know what's your favorite eyeshadows between Zoeva and MUG. Can you explain why with the cons and pros please? Both brands does amazing shadows! I will recommend getting MUG singles as you can customize your own palette (my current everyday palette have a mix of MUG and Colourpop). 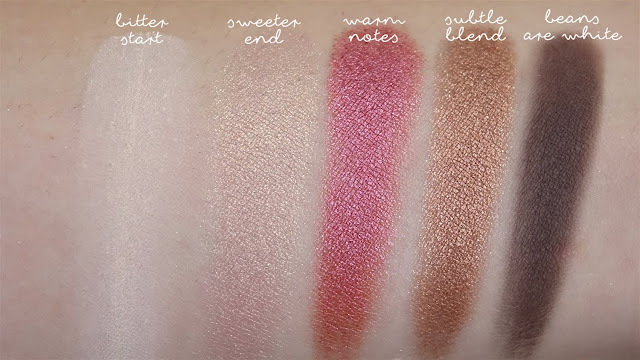 I would highly recommend you checking out this Cocoa Blend if you are considering to get their palettes in the future. 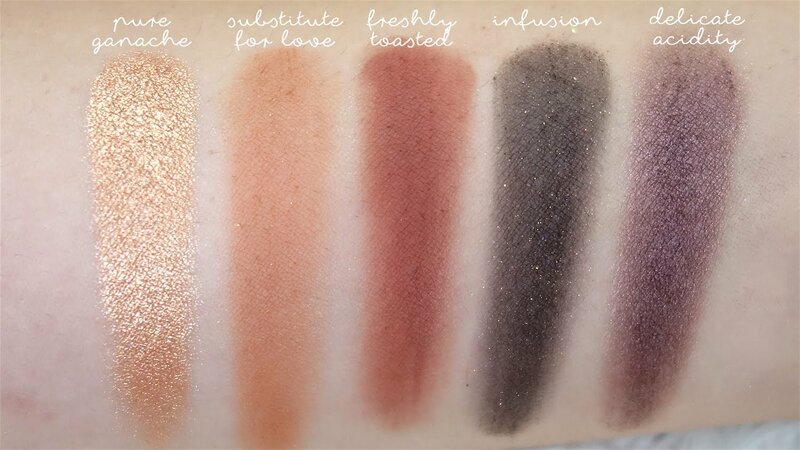 In comparison, I feel that the MUG matte shadows are much creamier and pigmented (blends out like a dream) than Zoeva's. They last better on the lids as well, even without a primer. Most of the time, I only use concealer as a base.